Jackie built the Oklahoma Wildcrafting community and to many of us she is mentor, friend and like a family member. 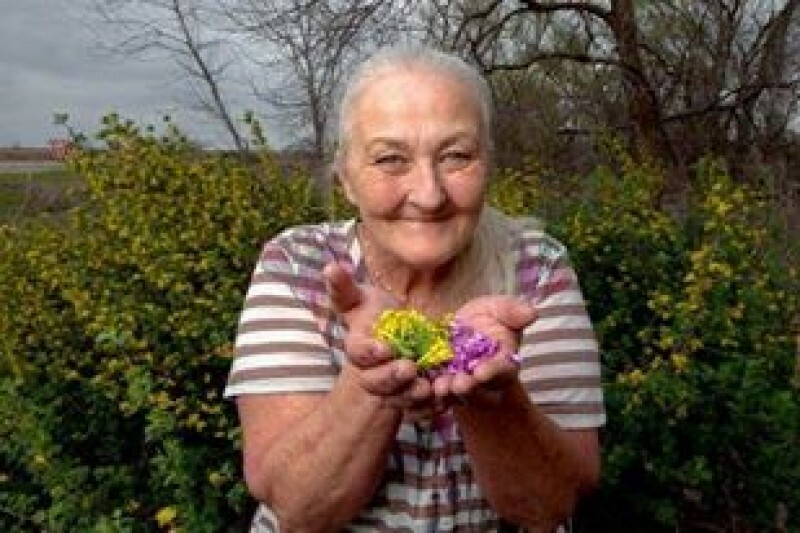 She has taught free classes to those who struggle with food insufficiency for many years and has always been an advocate for the earth and all her creatures. She has given us so much which can never be repaid but here is a chance for us to give something back to her with an open heart. I know times are hard so just give whatever you can afford, no matter how small. Every bit helps and when we put the small amounts together we can make a big difference. A note from Jackie: "Thank You. I am sitting here wondering how I can tell everyone how thankful I am to have them in my life. First there is Jenny Faith Mansell who's heart is so big. She is more to me than a friend, she is family. How do I tell everyone, some that I will never know who they are how grateful I am and how humbled. I so love each one of you and feel proud to call you my friends and family. I know Jimmy is watching this with much gratitude. I know I am not alone. To each of you, Thank You for allowing me to be a part of your lives." Wow, I can hardly believe the donations have exceeded $1,000 so quickly! Thank you so much for your generosity, everyone. I would like to keep this going, not only because I want everyone who would like to give to have a chance to do so, but also because it would be wonderful to give Jackie enough she could repair her home which is falling down around her because of earthquakes. I knew you all would pitch in but I didn't know how quickly. Thank you, thank you all from the bottom of my heart. You're lifting such a burden of worry and letting Jackie know she's not alone. Thank you all so much. Jackie, I am so sorry to hear of your husband's death. You are an Oklahoma treasure and I am sorry for your loss. May God's peace and healing be with you Jackie.